A lurex cashmere wrap top with a removable belt, gathered sleeves and long cuffs. A cashmere V-neck top with a sloped hem and metallic accents. A ribbed sweater with a ruffled neck and full sleeves. A scalloped, ruffle knit sweater with a ruffled mock-neck and balloon sleeves. A pointelle stitch top with tiered, scalloped sleeves and a ruffle mock neck. 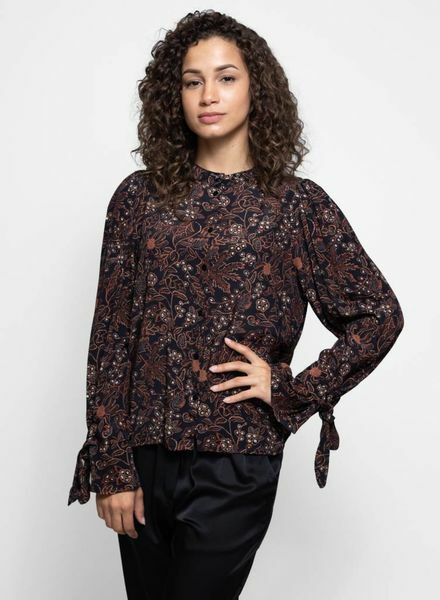 A buttoned-front blouse with slightly gathered sleeves and self-tie cuffs. 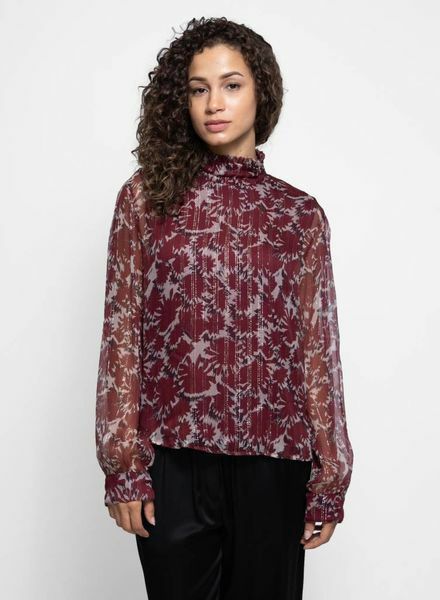 A chiffon top with a ruffled high-neck and a self-tie, keyhole back closure. A deep, split-neck dress with tasseled ties and ruffled button cuffs. A puff sleeve sweater with ribbed borders and cropped length. 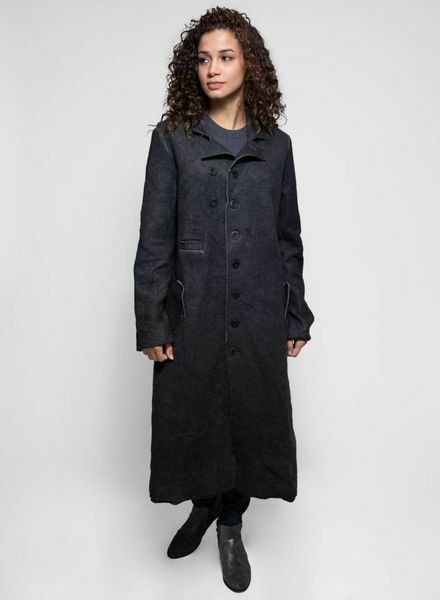 A corduroy dress coat with tapered sleeves, gathered shoulders and full button placket. Hooded anorak with drawstring waist and hem. It has a double-breasted button, drawstring hood, and four flap front pockets. 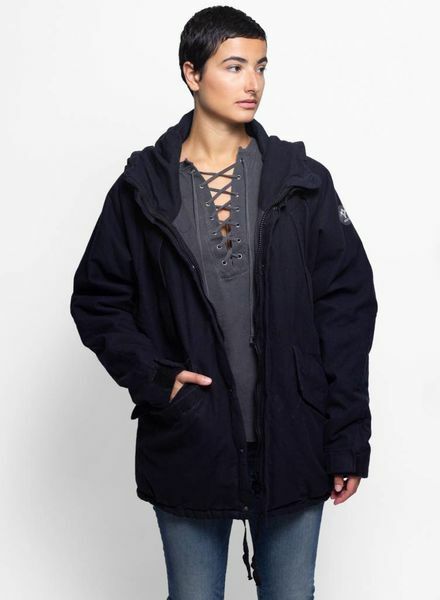 An over-sized coat with a buttoned front, side pockets, wide hood and contrast piping. 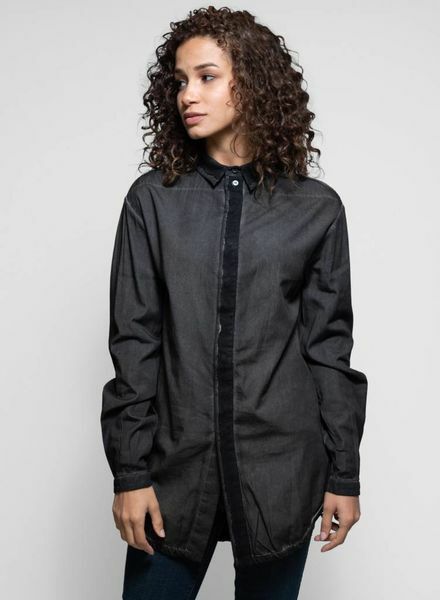 An over-sized button up with a contrast hidden-button placket, hand-stitched trims and rounded hem.